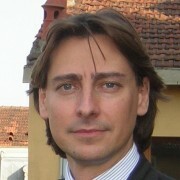 Fabrizio Minei has over 25 years of experience in the US, LatAm and EMEA telecoms and innovation technology marketplace. Fabrizio is currently Managing Director at ECO Capacity Exchange, a London based company that has developed a unique global trade mechanism that enables capacity to be converted into a unit of exchange, enabling cashless trade outside the banking system. His most recent role was EVP Sales & Marketing at Creova, a French company specializing in mPayment and mBanking. Fabrizio also brings to Luiss EnLabs strong startup expertise and extensive international experience from a number of companies across Europe and the Silicon Valley where he’s held top executive positions for companies like MobileAware, Nuance, Good Technology, Global Metro Networks, Primus Telecommunications, and Telecom Italia. Fabrizio started his career at Olivetti, with stints in Moscow and Istanbul. Business angel, startup mentor and advisor. Visionary forward thinker, serial entrepreneur, technology evangelist and futurist. Currently a strategic advisor to several early stage technology companies, Venture Capital & Private Equity companies. Fabrizio holds an MBA from University of San Diego, California.